Today travellers by land, sea and air take accurate navigation for granted but it was not always thus. The author, a highly experienced sailor, sets out to record the development of navigational techniques from the earliest time, five millenniums ago. As explorers started to venture offshore into the unknown they had to rely on the sun and stars for direction. From this pioneers turned to mathematics, astrolobes, sextants and increasing accurate clocks to measure latitude and later longitude. More recently major breakthroughs with electronic navigation, GPS and other satellite systems have revolutionised travel. 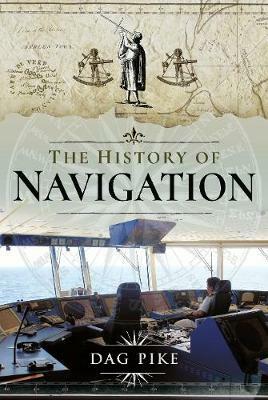 Focusing primarily but not exclusively on marine navigation, the author weaves a fascinating course through the successes and failures of mankind's quest to explore his world. The result is a thoroughly entertaining and informative work which has no rival. Dag Pike first went to sea aged 16 on tramp ships and experienced his first shipwreck two years later. He became the youngest Trinity House lighthouse tender captain aged 29\. He went to become an Inspector of Lifeboats responsible for some 50 RNLI stations. He has participated in six Atlantic record attempts and, as a member of the Italian Destriero project, made the fastest crossing averaging over 53 knots. Dag has written over 40 books and contributes regularly to marine magazines worldwide. His most recent Taming the Atlantic (Pen and Sword Maritime 2017) draws on his extensive experience. He lives at Bristol.